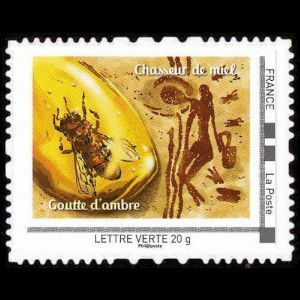 Paleontology related stamps: prehistoric animals, fossils, fossil found sites, paleontologists and contributors to Paleontology science (Charles Darwin for example) of the year 2014 issued by official post authorities as well as some personalized stamps, sorted in chronological order. On the beginning of the year, Hong Kong issued set of 6 stamps printed with a luminous effect that makes the unique features of the Chinese dinosaurs glow in the dark. 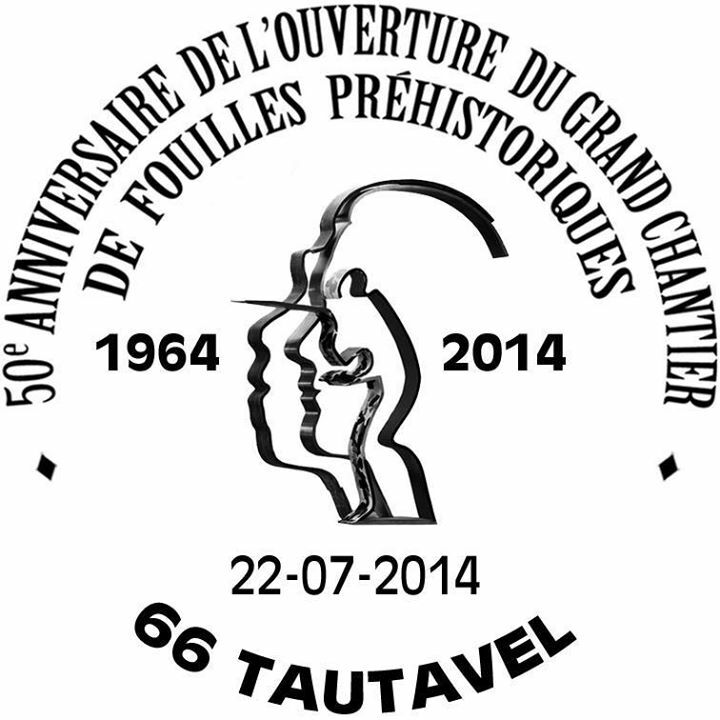 Canada and Moldova show some fossil from collection of its museums. Makhtesh Ancient Erosion in Israel (some landscapes of a geological land form considered unique to the Negev desert of Israel) shown on stamps issued in February. On the first look , there are nothing common with Paleontology, but this place is also well known as fossil found place - depicted on FDC. At the end of the year Post of Hong Kong issued a block shows UNESCO Heritage site - Danxia Mountain - our ancestors used to live near Danxia Mountain long ago, and there are skull fossils of famous Maba Man in the southwest of Danxia basin, which are important clues for studying the early human. At the same time, cultural relics of the ancient people lived 6,000 years ago in Meolithic Age remained in Shixia Cultural Relic in Shizi Cliff. The catfish fossil unearthed from a relic of Neolithic Age in the southeast shows that about 5,000 years ago the evolution level of the is similar to that of the Central Plains. 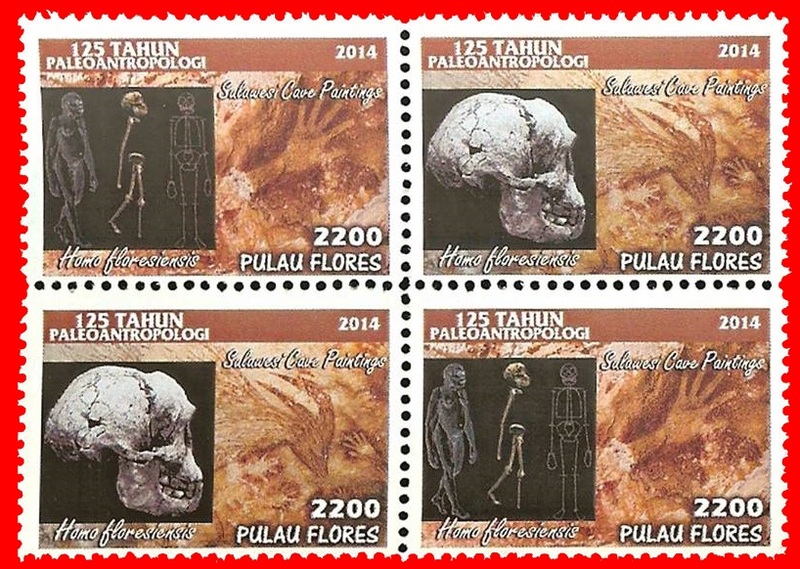 Another stamp of Hong Kong related to Paleontology, issued this year is a part of definitive set. The stamp with value $2.20 shows WONG CHUK KOK TSUI landscape. Devonian pyroclastic rocks found around Pak Sha Tau and Wong Chuk Kok Tsui are included in the Wong Chuk Kok Tsui Formation. They are primarily sandstones, pebbly sandstones and conglomerates. The best exposed outcrops can be found around Wong Chuk Kok Tsui at the northern tip of the Tolo Channel. The rich Devonian fossil fauna from Tolo Channel provide a strong basis for determining geological age and sequence stratigraphy helping us understand how Hong Kong's natural environment evolved during that time. Very beautiful stamps of prehistoric animals issued in Brazil and Mongolia. Stamps of Mongolia commemorate return of Tarbosaur fossil, which a stolen and illegally transported to USA, to the country. 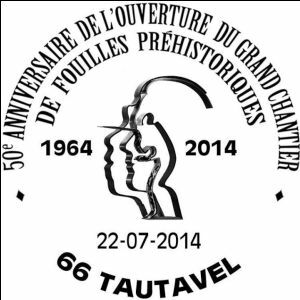 Stamps of Brazil shows many prehistoric creatures lived in the territory of the county in the past. 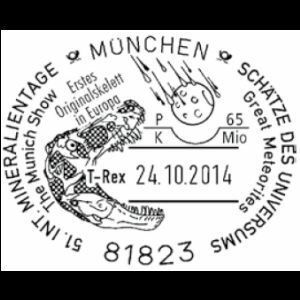 some stamps that looks like Paleontology related, but it is not. The Bee on the left side is not prehistoric but modern specie: Apis mellifera. 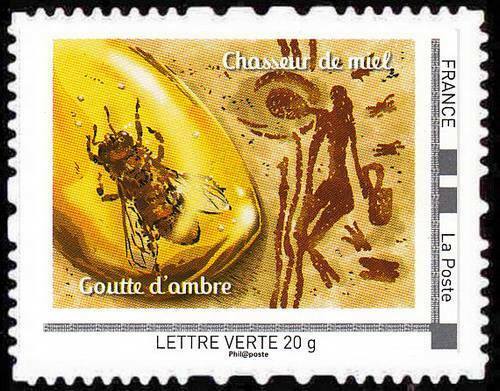 and used just for illustration purpose together with a painting from the Cuevas de la Araña, Spain, which shows a Palaeolithic human who gathering some honey from wild bees. 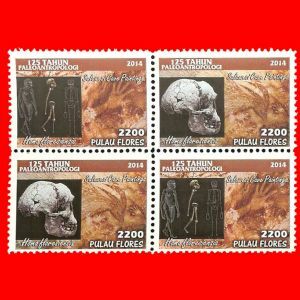 Pulau Flores "125 years of paleoanthropological institut of Indonesia"
The island is part of Indonesia and uses Indonesian stamps only.